Will be available later in 2016. The AK-UB300 provides the precise camerawork and high image quality that you need for sports, remote studios, weather information, live concerts and other applications. It can achieve 4K image quality even when shooting low-budget content in a small-scale studio and it is also an excellent choice for aerial shooting. To maximize ease-of-use and handle a wide range of needs, the AK-UB300 has a low-light noise reduction function utilizing high sensitivity mode, a newly developed haze reduction function (valuable for weather reporting), and 4K output board. 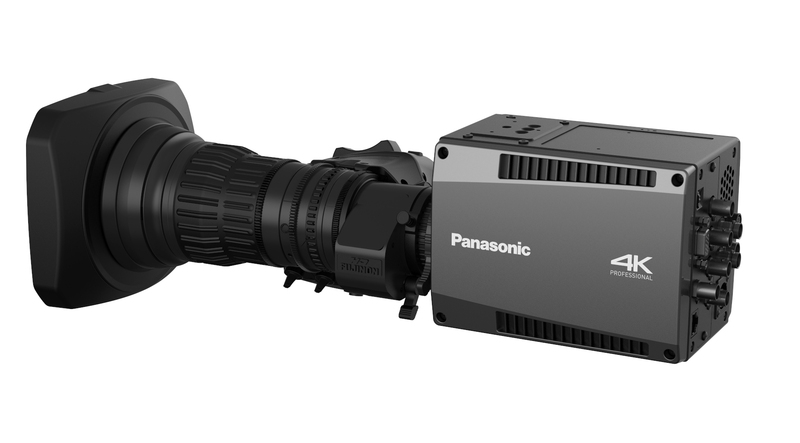 Streaming video output will be available from the UB300 in up to four simultaneous H.264 streams, at a wide range of data rates. Video resolutions of up to 1080/50p are available at rates of up to 24Mbps. For IP live remote monitoring and control, up to 10 cameras can be viewed and controlled simultaneously from a web browser. The UB300 incorporates a 2x digital extender zoom, four-position neutral density filter (Clear, ND4, ND16, ND64) and Focus Assist functionality. The B4 mount allows using existing 2/3-type lenses. In addition to the HD output, the UB300 is equipped with a simultaneous 4x3G-SDI output board as standard that can be swapped with other optional 4K outputs, such as optical fiber*1. An HD cropping feature allows an HD image to be cropped from the 4K picture. 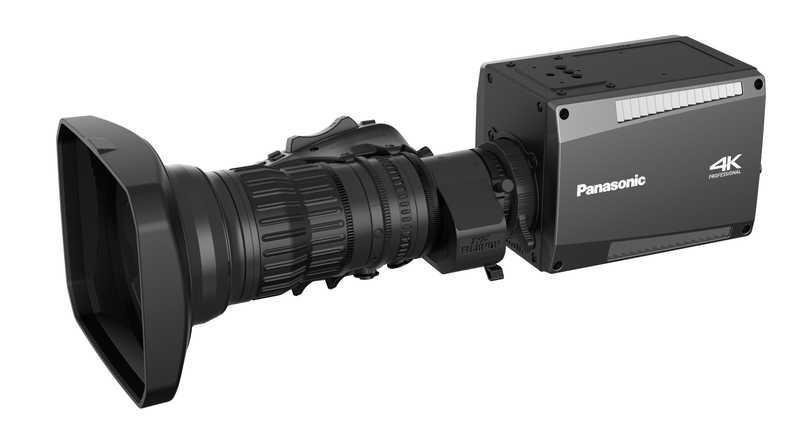 The HD Cropping area can be controlled by Panasonic remote controllers. This multitude of functions allows versatility in any application.